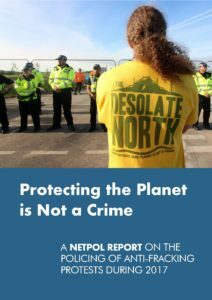 Outside shale gas company Cuadrilla’s site on Preston New Road near Blackpool, Netpol is today launching its new report, ‘Protecting the Planet is Not a Crime’, which documents our many concerns about the way the police have responded to opposition to fracking at sites around England. Much of the report focuses on protests in Lancashire, where there have been over 300 arrests since January. Throughout 2017, Netpol has heard testimony from campaigners and seen evidence of police officers pushing people into hedges and even knocking them unconscious, violently dragging older people across the road and shoving others into speeding traffic. We had also heard about the targeting of disabled protesters (including repeatedly tipping a wheelchair user from his chair) and officers using painful pressure point restraint techniques. Campaigners have repeatedly accused Lancashire police of ignoring violent and unlawful actions by private security employed by Cuadrilla. 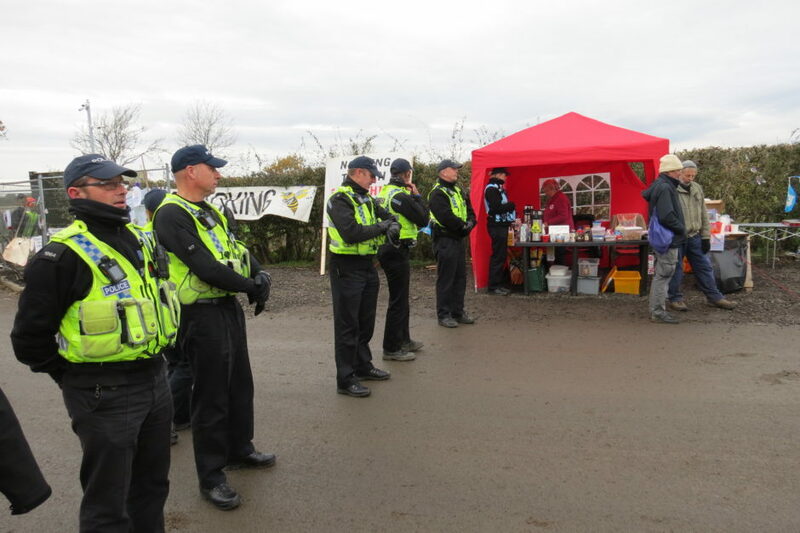 However, during a visit last week to Kirby Misperton in north Yorkshire, where protests only began on 19 September, Netpol spoke to campaigners who are already echoing many of the same complaints made by their counterparts in Lancashire. Local people told us they felt uncertain about when police might decide to allow ‘slow walking’ protests and when officers chose make arrests. They said that North Yorkshire Police’s decision on 10 November to cut short a speech during a visit by the joint leader of the Green Party Jonathan Bartley and to drag him along the ground was symptomatic of the police’s disregard for the right to freedom of assembly. Like Lancashire, there is already complaints about the conduct of private security guards, who in early November were captured on camera assaulting protesters when there were no police present. 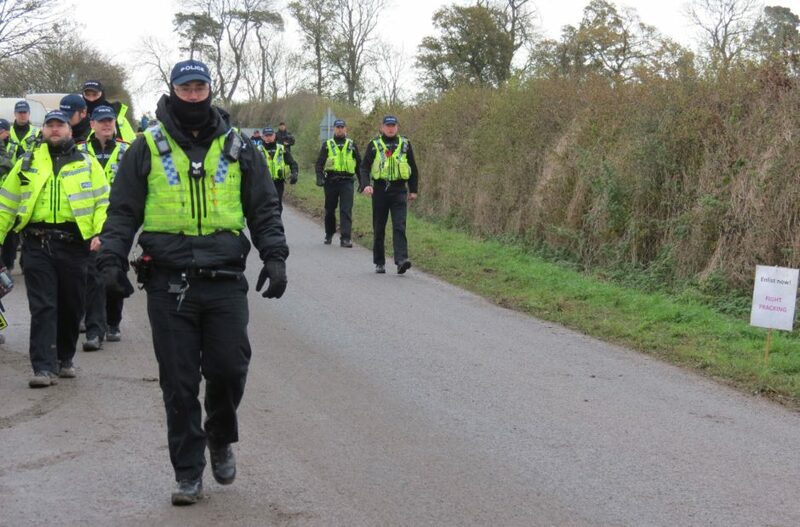 On the day we were at the Kirby Misperton site, it was relatively quiet with no arrests. However, we witnessed large numbers of officers kettling protesters at the side of the road the moment any vehicle left the exploration site. We saw one officer ignore Netpol’s male coordinator to aggressively confront a female protester standing next to him for allegedly ‘obstructing the highway’. We also talked to Jackie Brooks, who with her husband Jim has been serving tea and home-made cake to protesters since the start of the protests and who received regional and national media coverage when police officers tried to forcibly remove her. 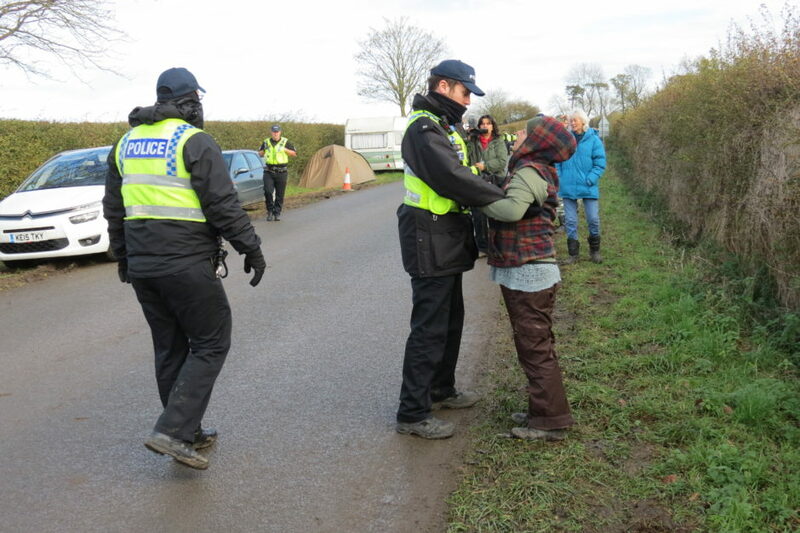 What is emerging in north Yorkshire is a repeat of the kind of confrontational and aggressive police tactics seen in Lancashire, The police appear deliberately intent on making it as difficult as possible for local people to effectively oppose the activities of the shale gas company Third Energy. Already, there have been 66 arrests up to the end of October. This is why we are today calling for a comprehensive review of national policy on the policing of anti-fracking protests and are highlighting the need for a genuinely independent external review of the conduct of Lancashire Police’s operation since January 2017. Something has to change. If the police fail to rethink their tactics, our concern is that in six months time, we will need to publish more evidence of the denial of the basic rights of campaigners, this time in Yorkshire. 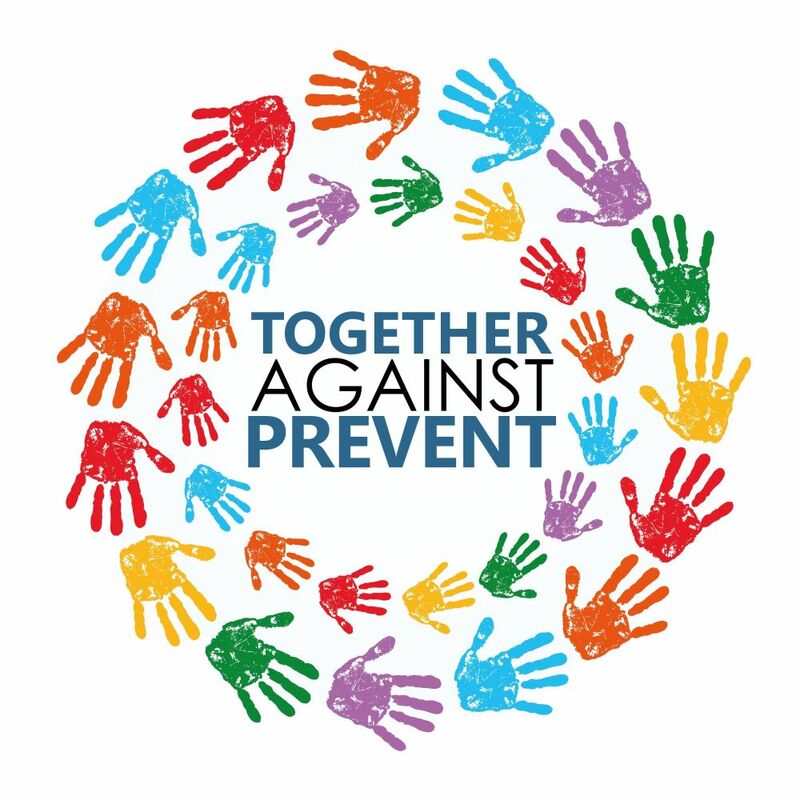 As today’s report makes clear, this risks creating the same “long-term legacy of resentment and distrust” that now seems an inevitable consequence of the policing of protests in Lancashire.